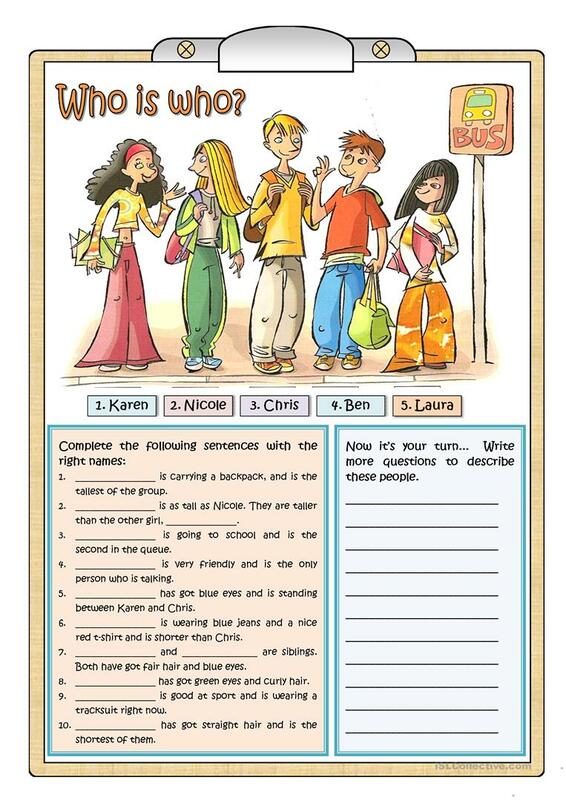 Students pay attention to the picture and then they fill in the gaps in the sentences below with the names of the people. Finally students write more questions about they are watching in order to complete the description of the picture. This downloadable teaching material was created for high school students, elementary school students and adults at Elementary (A1) and Pre-intermediate (A2) level. It is aimed at revising Present continuous (progressive) tense in English, and can be used for enhancing your pupils' Speaking, Reading and Writing skills. It features the vocabulary topic of Clothes, fashion.